When I think of Swedish film, I think of Ingmar Bergman. Yet for many reasons, it’s tough to connect Bergman to what is called ‘Nordic Noir’ these days–partly because Bergman was more interested in existential (philosophical) crises than in political ones. There’s more to it than that, but I’ll grapple with that issue another time. 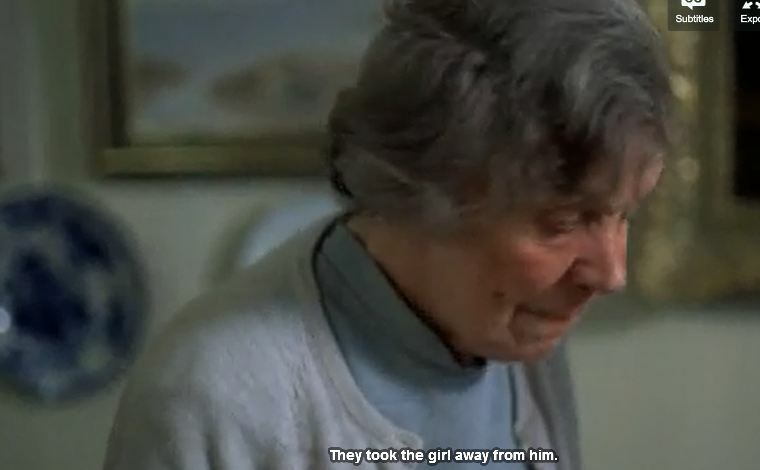 For now, I’ll just talk about Bo Widerberg’s 1976 film Man on the Roof (Mannen på Taket). It was an adaptation of Sjöwall and Wahlöö’s The Abominable Man, itself a classic example of Nordic Noir. You can watch the Widerberg film for free on your computer today: Man on the Roof. I read the novel (The Abominable Man) in English after I watched the movie, and for once this didn’t ruin the novel for me. The first half of the novel is written in quiet, concise, yet evocative prose, though the second half tends much more toward action and dialogue. Widerberg’s film follows this bifurcated structure pretty closely. While the novel is ‘a good read’ and offers a specific perspective on 1970s Sweden, the film of course packs a powerful visual punch. 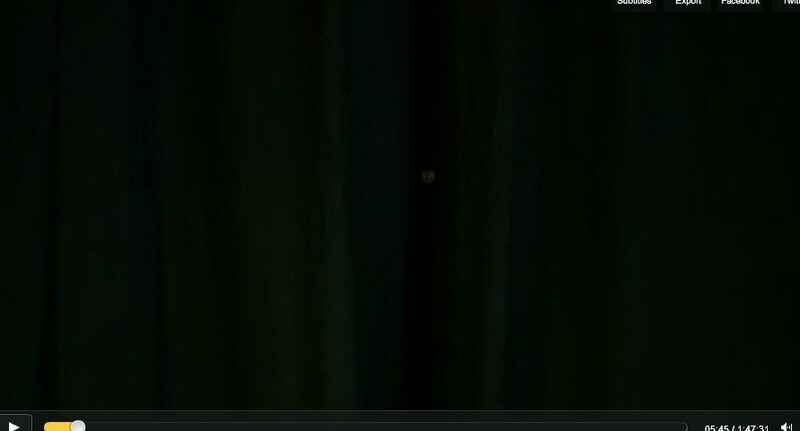 What is between the black curtains?! It’s hard to see what this is all about, but it WILL freak you out. It occurs very early in the movie…the novel’s description of the scene is nearly as frightening too. The first half of the film feels a lot like a documentary. 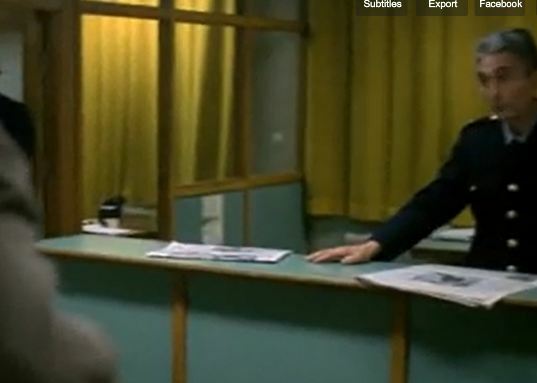 You follow the policemen around as they begin to investigate the crime, you see the dreary hospital, the incredibly depressing police station with its chartreuse and turquoise interior decor and harsh fluorescent lighting. I know a lot of 70s color schemes are back ‘in’, but I bet this one isn’t. Yes, this young man is the 1970s image of Swedish social dysfunction. Widerberg’s movie doesn’t shy away from the gore in the novel…and in fact, the film emphasizes it more than the novel does. 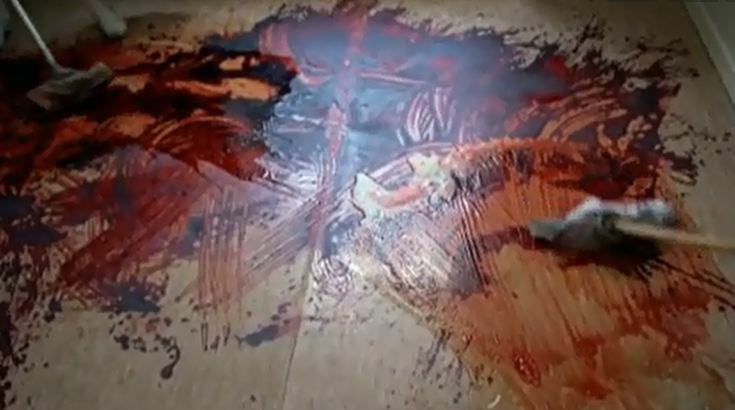 In the film (not in the novel) they are still cleaning up the murder scene halfway through the story. This underscores the awful aftermath of the crime. Not just detectives and forensics units have to deal with this, but everybody–even the janitors who have to mop it all up. The initial horror of the crime transitions into an unbearably tiresome chore. That weariness, I think, is an essential quality of a lot of Nordic Noir. Not just a sense of melancholy, but the tedious, ongoing nature of crime. 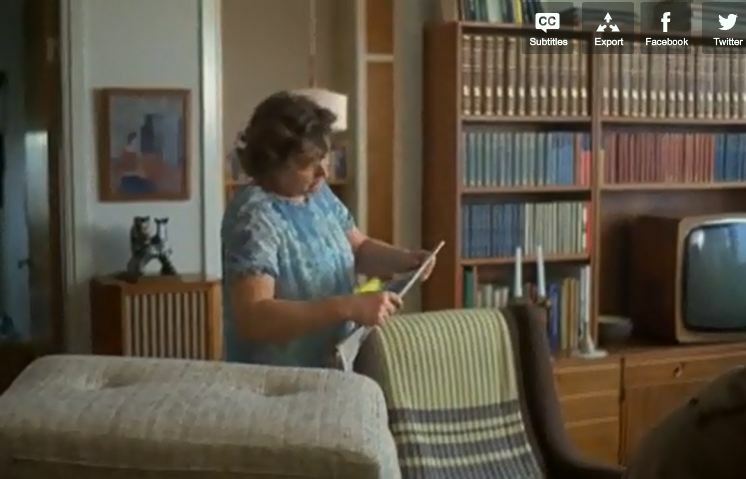 The investigative part of the movie has a slow, methodical pace, but this allows the viewer to engage in time traveling–to see what Sweden really looked like in the 70s. The detective Martin Beck’s apartment is humble, but also respectable in a very Swedish sense. The exalted Swedish notion of “lagom”–of something being just right, not too much, not too little–is strong here. Note the tidy, plain but functional modern furniture–perhaps bought sensibly from IKEA. Note the taste for small-scale modern art rather than any pandering to a lost aristocratic artistic tradition. Note the prominent set of encyclopedias. A healthy, well-educated family might be raised here (if only the father weren’t beleaguered by a stressful job!). By contrast, when the detectives visit the suspect’s parents’ home, they are met with the stifling atmosphere of decadence and the shabby tatters of luxury lost. The house, while free-standing and appealing in shape, is dilapidated. Its front gate doesn’t close properly. The garden is unkempt. Something is wrong here. The occupants are an elderly pair of “pensioners” whose decor betrays their economic fall from grace. On the wall are ornate gilt-framed paintings and traditional flow blue china plates. These are people who once had plenty of money to spare, and they seem to like living among the ruins. As in most Swedish films and books, there is a ‘fika’ scene, i.e. the cherished Swedish tradition of taking a proper coffee break. 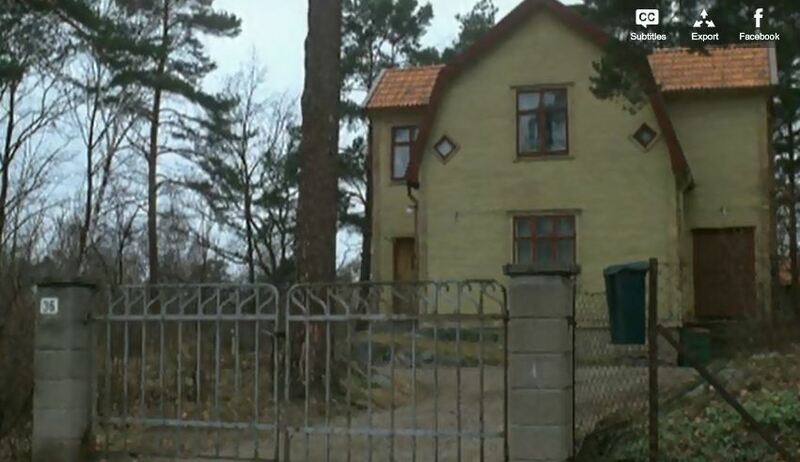 In this one we see two contrasting Swedish cultures smashed into one little house: the old Sweden, formal, class conscious, and luxurious (for a few), and the new Sweden which promotes both social equality and entrepreneurial innovation. 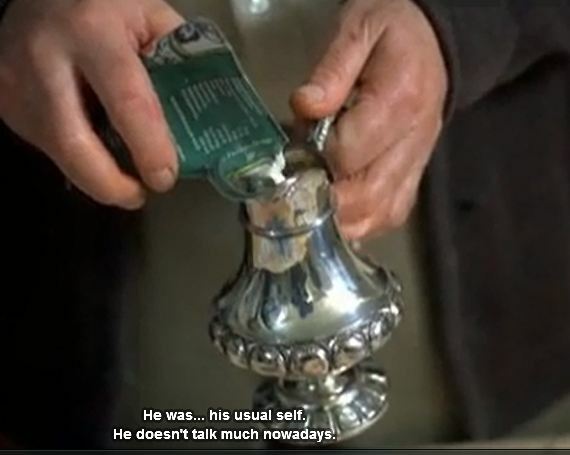 For instance, Widerberg’s camera focuses on the jarring juxtaposition of a silver creamer as it’s filled (not by a servant!) with Tetra Pak cream–Tetra Pak being one of the most successful business ideas ever to come out of Sweden, and a symbol of vast modern wealth [and just now, family tragedy since once of the heirs was just arrested and his wife found dead]. Tetra Pak cardboard cartons were invented in 1953 by Ruben Rausing. The company was so successful that, as the Guardian puts it, even today, “If you’re an average human, you will use 23 Tetra Paks this year.” This new extraordinary wealth may have been democratically achieved, but the film implies that it’s not clear how it benefits ordinary Swedish people–much less those whose inherited family wealth was taxed away years before. The elderly couple may seem genteel, even sweet. But they are also clueless; the more they cling to their crumbling past, the more pathetic they are. Their taste is hopelessly outdated. 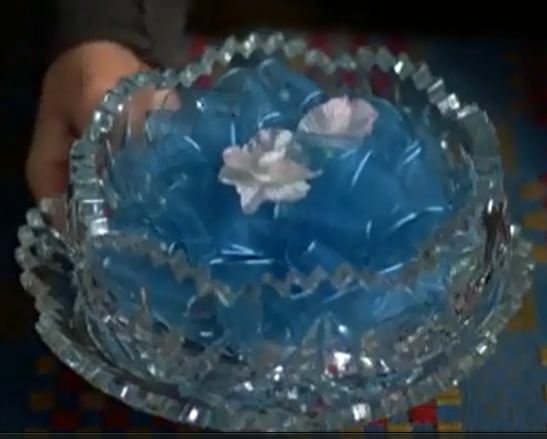 Widerberg lingers, for instance, on a hideous crystal bowl set out with god knows what demented sense of finery, filled with rumpled blue ribbon instead of actual food. What sort of child would these people have raised? In the midst of Sweden’s great social experiment, then, unintended consequences bubble to the surface (as they always do) and the understaffed police force is left to pick up the pieces, if they can. The novel portrays this couple using slightly different details, although the same ideas are present. 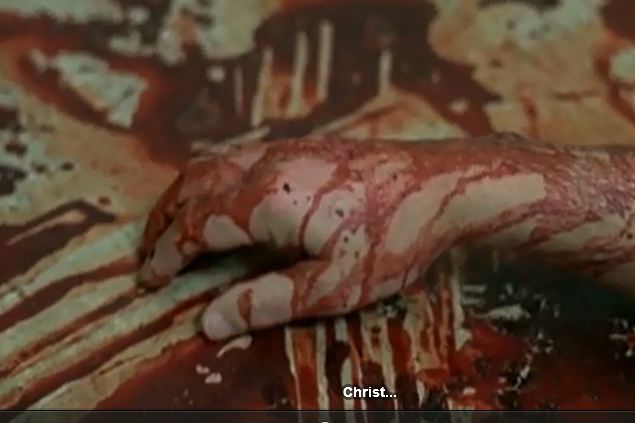 In any case, I was more impressed by the film’s clever visual translation of the scene. The novel’s form, however, allows for certain narrative freedoms. Characters engage in brief interior monologues, which help flesh them out a little. The written Martin Beck ponders his vague but unrelenting sense of guilt in relation to the murderer–i.e., that he’s part of the police system that created the monster now plaguing the city. He knows the police force is underfunded and overburdened; so in that sense, part of the blame falls on the government too. The filmed Martin Beck, by contrast, expresses less overt collective guilt; instead, we only get a general sense of fatigue. For this reason, I think some people who are allergic to social commentary may find the film more entertaining. But the book is far from heavy-handed; indeed, one of its draws for the general crime fiction reader is its deft pacing. 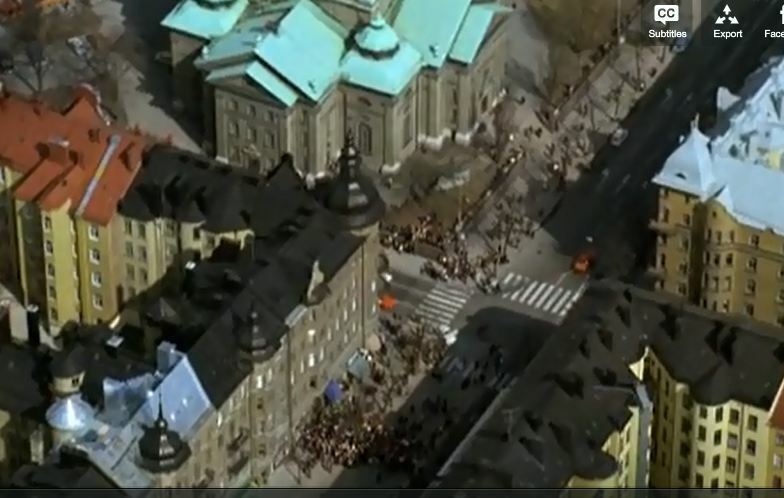 I don’t want to spoil the plot, but I can say that the last third of the movie (like the novel) has a pretty exciting action sequence in downtown Stockholm. 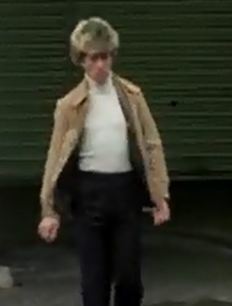 Widerberg admired the chase scenes in the French Connection and it really shows here. Last: the film’s musical soundtrack. When bullets fly, the film’s otherwise documentary style suddenly trembles with a frenetic, exotic flute music. The music is unexpected and seems strikingly out-of-place in placid, orderly, Nordic Stockholm…in otherwords, it corresponds perfectly to the jarring, bloody events of the day. In the midst of mayhem, a character even wonders, “Am I in India?” This intriguing musical score (by Björn J:son Lindh ) is probably the main reason I began to take this otherwise ordinary “action-thriller” more seriously. In terms of my series on the “origins of Nordic Noir,” this is more a case of reciprocity between books and film than a case of simple cause and effect. 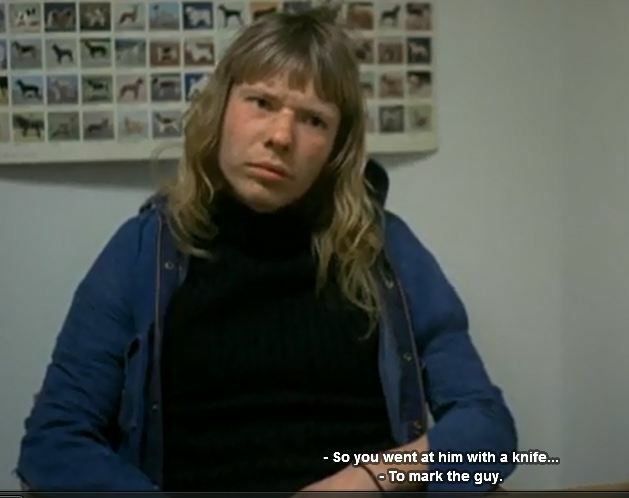 The book came out first, but since many people come to Sjöwall and Wahlöö ‘s book after seeing this film, the film should be understood as a 1970s inspiration for later writers and filmmakers. In sum, I recommend the movie to anyone interested in Nordic Noir, as long as you don’t mind subtitles, you appreciate historical footage of Stockholm from forty years ago, and you are more amused than distracted by the distinctly Swedish 70s menswear. « The First Nordic Noir Novel…from 1905?